Recently, I was able to share my illustration skills with the Kindergarten, 1st grade and 2nd grade classes at the Mayo Elementary school in Holden, MA. 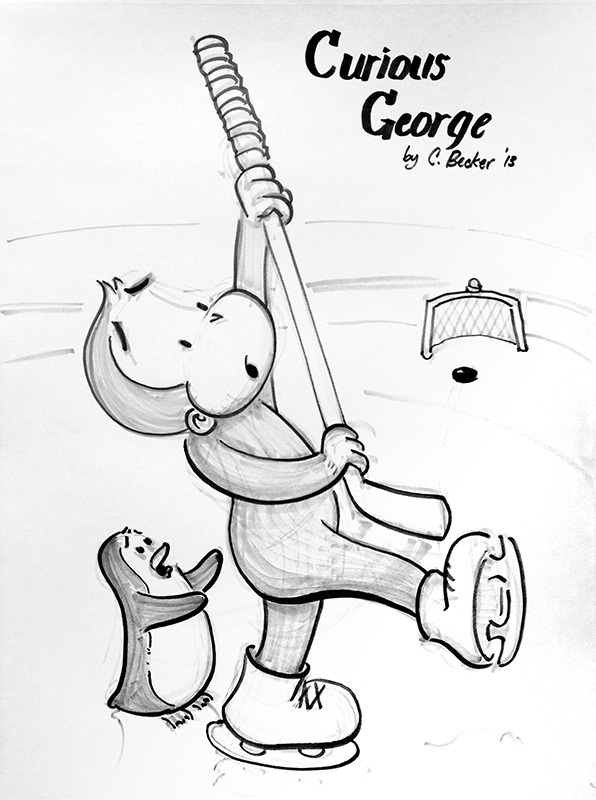 It was a large group of kids but they were riveted and stayed focused on the stories I read and when I was drawing George. 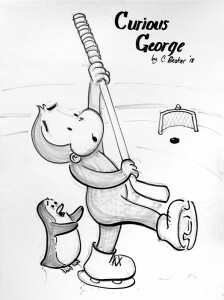 As usual, I had fun having the kids finish the phrase, “This is George. 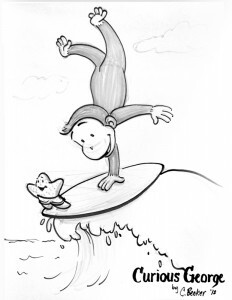 George was a good little monkey, but always…” and they say CURIOUS! It’s always a hit. 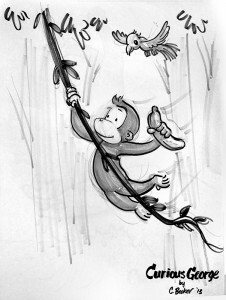 I explained that I art directed several artists and participated in drawing George and helped with a few of the stories. 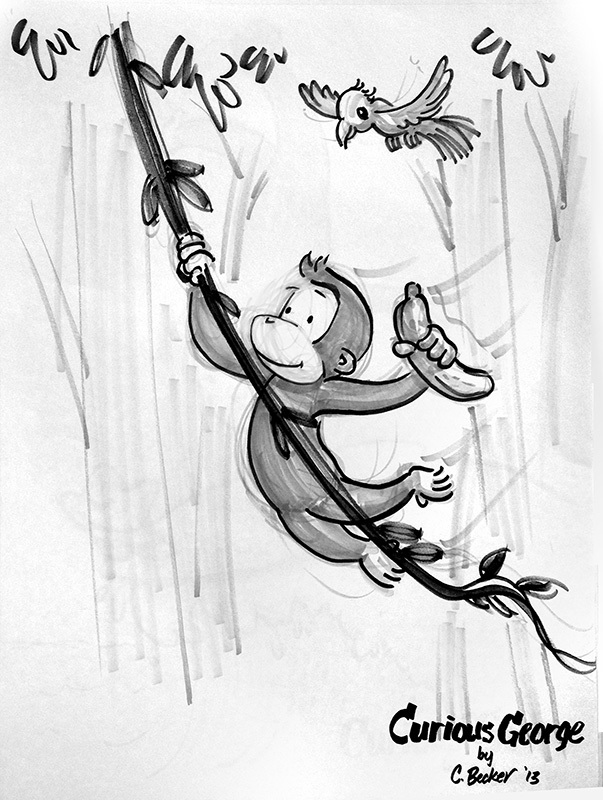 I fondly remember my days working on the Curious George books and CD’s. 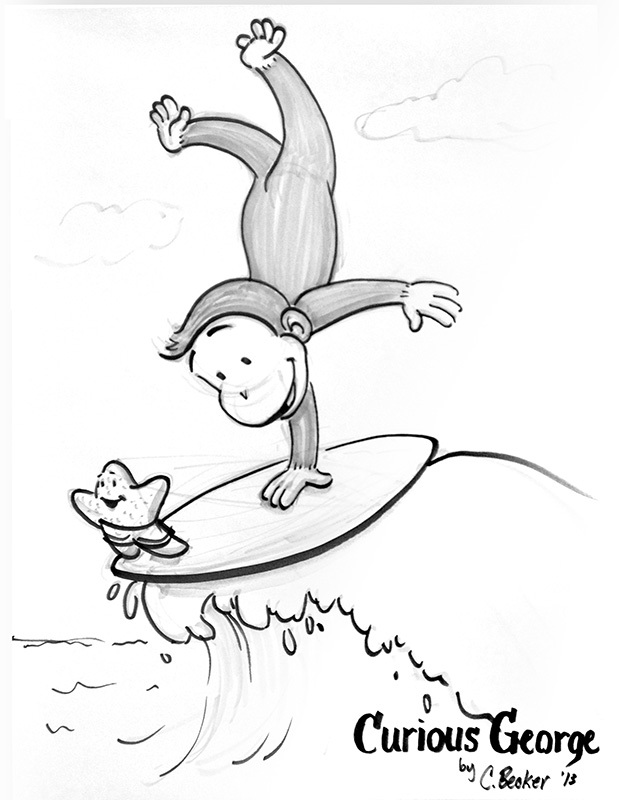 I included the kids in the drawings by having them suggest to me what I should draw George doing. This is the first time that some of them said they wanted George to be in a dress. I told them that I didn’t think that would be right for George. So I completed a sketch for each of the classes. It was a great time. Thanks to the Mayo School for letting me come in and share some of the happiness I got from George. And thanks to you too George (and H. A. Rey and Houghton Mifflin).